It won 11 Oscars, and earned nearly $2 billion in worldwide box office. 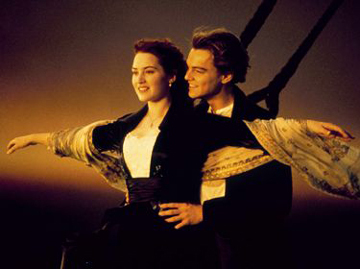 At its peak, creator James Cameron was the self-proclaimed "king of the world." Now, some 10 years later, Titanic still has a very large following of fans of all ages. Everyone of us has seen it. And you may not want to admit it, but most of us like it quite a bit too. Here is your chance to prove it. How well do you know Titanic?